Add a little colour to your look this Valentine’s Day with some Essie nail polish. A few of my favourite hues? Miami Nice, Fishnet Stockings, and Jamaica Me Crazy. For best wear, paint two coats, letting polish dry between coats. I’ve got fair features and an unsteady hand — not exactly an ideal combination when I want to wear eyeliner. The slightest imperfection is exaggerated on my alabaster skin. 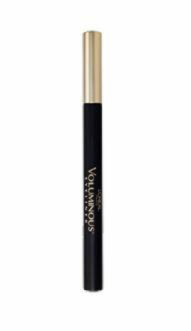 So when I saw L’Oreal’s Voluminous Eyeliner Mistake-Proof Marker, I had to try it. This revolutionary liner pairs a slanted applicator with a controlled flow, so the marker easily allows the user to follow the contour of their eye with no uneven lines or unsightly smudges. The eyeliner is designed for versatility: For a thin line the tip is used to go on fine and even, and for a thick line the slanted side is used to go on full and dramatic. Because the liner’s flow is continuous, there is no need for double-dipping. According to the package, it wears for up to 12 hours without smudging or fading, and it has been tested suitable for sensitive eyes and people who wear contact lenses. I tried the eyeliner, and I was impressed. I’m a big fan of the ‘cat-eye’ look, and using L’Oreal’s Mistake-Proof Marker makes lining my eyes so simple. Available for $7.99 at CVS.com, the liner is much cheaper than department store brands made with the same ingredients. I’d definitely recommend it for anyone who wants an easy eyeliner application with no fuss or mess. Purchase L’Oreal’s Mistake-Proof Marker at CVS.com, or visit your local CVS. Of course I’m thrilled whenever ThisNext sends me products to test, so imagine my glee when I received a bottle of OPI’s nail lacquer in my mailbox! Lately I’ve been all about OPI’s India Collection — specifically the colour ‘Keys to my Karma’ — but with June right around the corner, I wanted to try out a bubbly, bright pink. My fabulous friend Lauren Messiah hand-picked a bottle of ‘You’re a Pisa Work’ for me and I am sporting it as I type. Hot pink certainly is a departure from the demure, darker tones that I’m used to wearing, but there’s nothing like a punch of colour to switch things up! The colour keeps things fresh and can even be classic – if you wear your clothes right. Just check out Diane Kruger in recent shots from FabSugar.